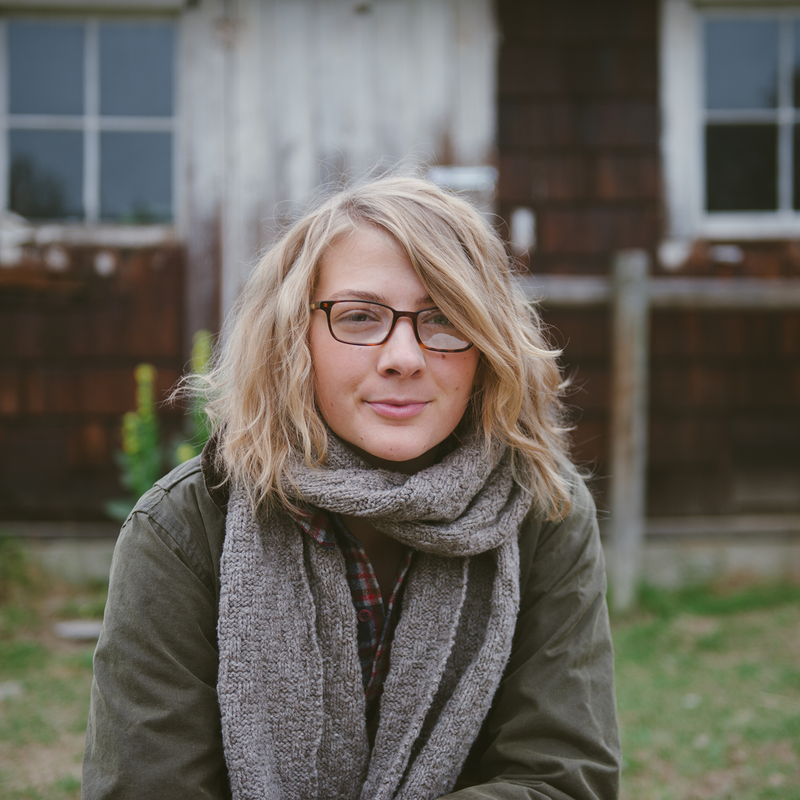 Fiber folk: Just listen to today’s episode and you’ll hear the spirit behind Courtney Kelley and Kate Gagnon Osborn and it makes complete sense how Kelbourne Woolens came to be…two great minds, inspiring design, gumption and of course the wonderful Fibre Company yarns. 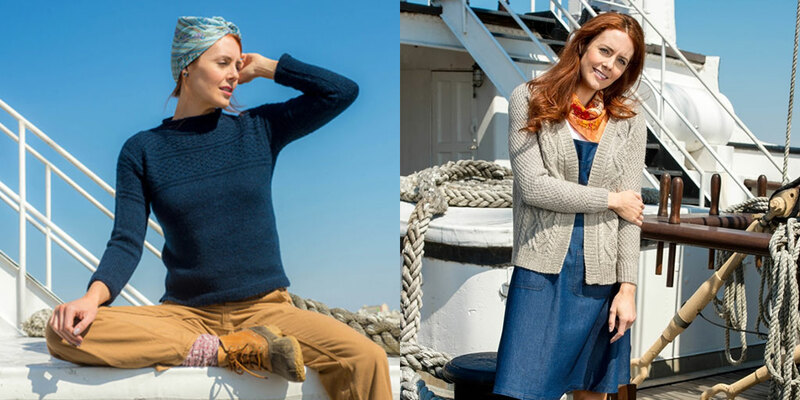 Sometimes you just need to take the leap, and you might just find you’re no longer floundering and have happened upon a fulfilling life in wool. You can find Courtney and Kate at Kelbournewoolens.com and on Instagram @kelbournewoolens. Giveaway: The winner of last week’s giveaway is, Rose, you’ve won a $25 gift certificate from Craft South. Congratulations! 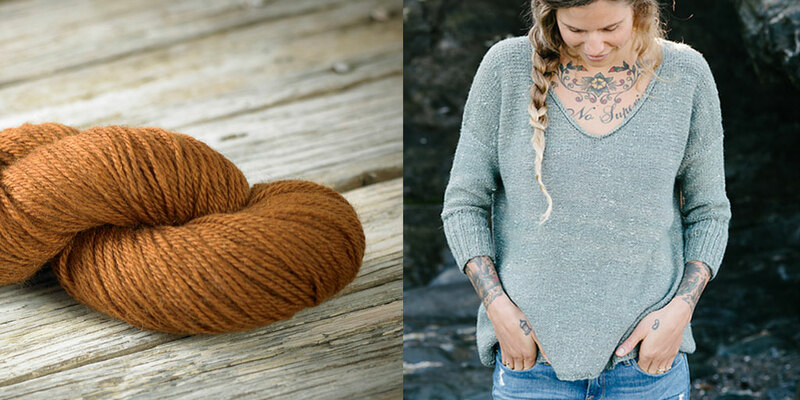 This week’s giveaway is sponsored by Designs by Romi and Kelbourne Woolens and we’re giving away a copy of Romi Hill’s book “New Lace Knitting” along with 4 skeins of The Fibre Company’s Terra yarn to make the Chinquapin pattern found in Romi’s book. So inspiring, the colors, textures, and designs! Love everything from Kelbournewoolens! fantastic episode as always! Great episode, once again. So happy Kelbourne have just made some of their baby patterns available as individual pdfs. 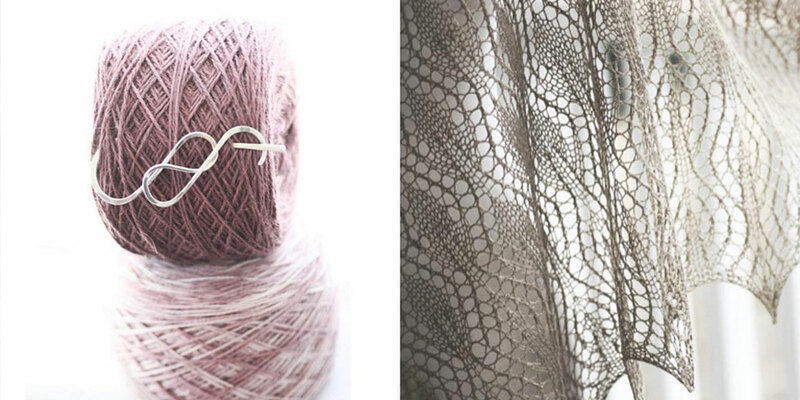 The new lace book looks lovely as well – I really want to cast on the Salt Grass Pull – gorgeous! Another amazing podcast chuck full of information and this time lots of laughter! Thank you so much for a chance to win Romi’s book and yarn to create one of the projects. Romi is so very generous…here’s hoping! So wonderful to see all the energy and creativity in the fiber world today! 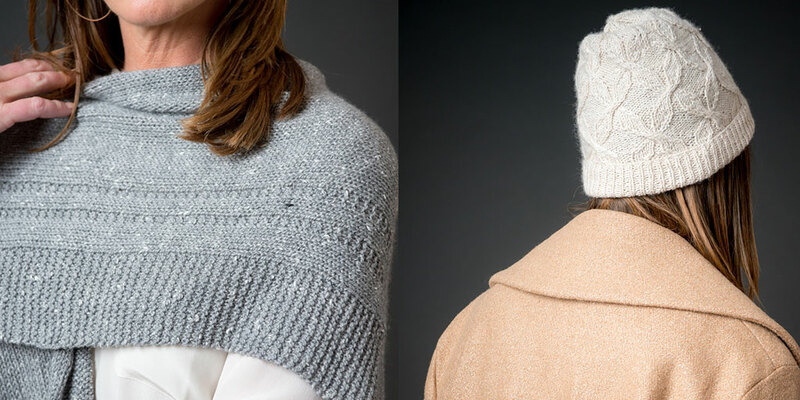 I love Kelbourne Woolens and Romi’s designs. What a lovely giveaway. I love Romi’s designs, they are absolutely gorgeous! Great interview – I enjoyed hearing their story and their enthusiasm! Love this podcat! So inlighting! Well they sound like they are having the most fun ever, I’m very envious. So nice to hear such a happy story, thanks! 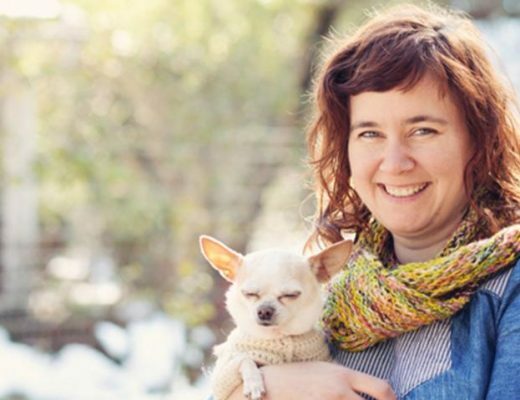 Love Romi’s designs and work, and love hearing from Kelbourne Woolens. And love Woolful! Thanks, Ashley! Romi is such an amazing designer. Her patterns are beautiful. I’ve been wanting to knit with The Fibre Company yarns for some time now. The lovely colors always was draw me to them. Thanks for the generous giveaway. All the good things in life are free I hoppe to win some!! Wonderful spirit! Thanks for this episode. I really enjoyed this one (I could say that with every episode, but there it is ;)) The dynamic between Courtney and Kate was so much fun to listen to. I’ve been a long-time fan of Romi’s work, I’m so happy to see her associated with your fantastic podcast! 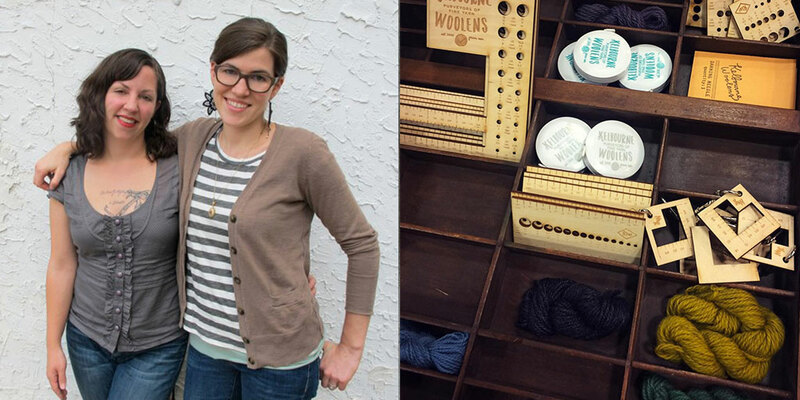 I’ve been following the Kelbourne Woolens blog for awhile, great to hear their story. It was fun to learn about the Kelbourne Woolens ladies. 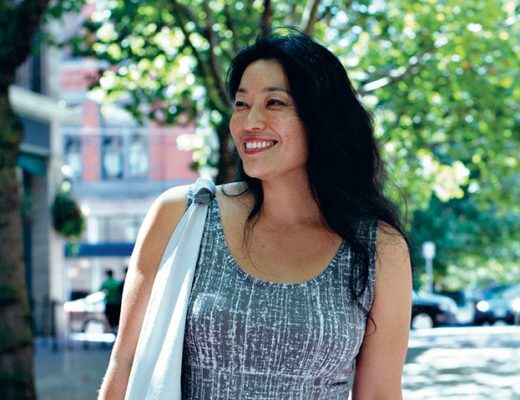 I enjoy their patterns and yarn — always interesting to hear how a company started out. So glad Amanda Soule mentioned Woolful on her blog so I can now enjoy these podcasts. Excellent job in interviewing! Just listened for the first time and loved the stories. Thanks for the opportunity and for your hard work. Great episode! I love to hear about everyone’s journey. Awesome prize! Fabulous episode! These ladies seem like so much fun. Courtney and Kate’s story was very interesting, and they were such engaging people to listen to! This episode was a fun listen. Loved hearing Courtney and Kate’s story of how their business came to be. Fiber Co yarns are gorgeous. Terra is my favorite….all those little flecks of happy color! Very timely episode; planning soon to cast on a project designed by Kate — her Bohus inspired hat from the latest issue of Vogue Knitting. Another inspiring interview and gorgeous prize! This interview was hilarious and lovely! Great interview! 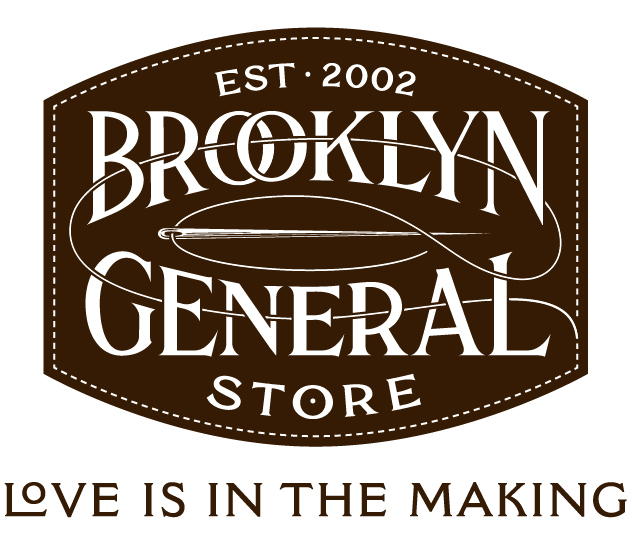 I especially loved hearing about the creation of their company name– how clever! I really enjoyed listening to this episode; Kate and Courtney both clearly love what they do and working with each other. 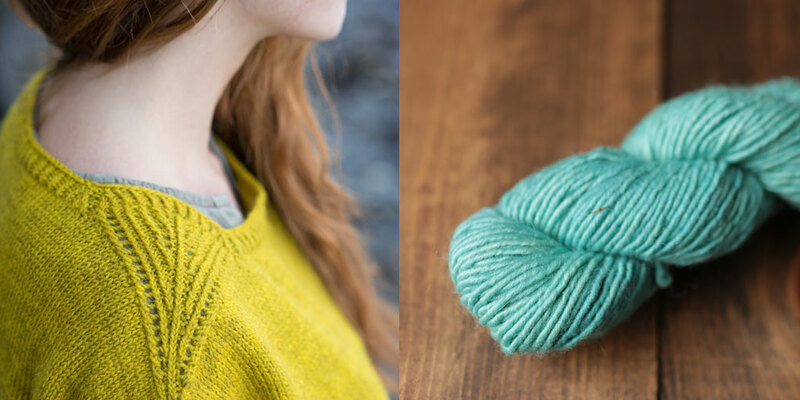 I checked out Kelbourne yarns site, and the yarn there looks beautiful!! Loved the podcast. It was great fun to listen to Courtney and Kate. They were hilarious. Would love to try some of their yarn. Thanks, Ashley, for another great podcast. You’re right, they are great storytellers. I always look forward to listening. Thank you! This was so fun. Especially when I remembered I have a small kit of Fibre Company Savannah and Meadow with a crochet cowl pattern I was lucky to receive from a SouleMama give away. This will be the perfect project to take on a long road trip I’m planning next month. Yay, thanks for the reminder. What a fun interview! Kate and Courtney are such a delightful duo! And thank you for another generous giveaway! I’m making my first lace shawl now and already look forward to many more! What a great episode! The interview with Kate and Courtney had me both giggling and inspired. I am someone who struggled with school, went to art school with dreams of being a painter and my “floundering” landed me in a completely non creative corporate job for 20 plus years, laid off at 50 and learned to knit. I’ll raise my hand as the grown up who is floundering financially which isn’t cute but solidly happy to be reunited with my creative soul which is beautiful. Maybe there is hope. Would love a chance to win this beautiful yarn. This was m favorite episode of all! Kate and Courtney are so engaging and likeable, okay loveable! I was already a fan of The Fibre Conpany and Kelbourne Woolens — this episode cranked up the admiration. Trying to catch up on podcasts. I savor them and like to listen to them with my husband, a woodworker. Thanks for this amazing podcast! What a great first episode to listen to! 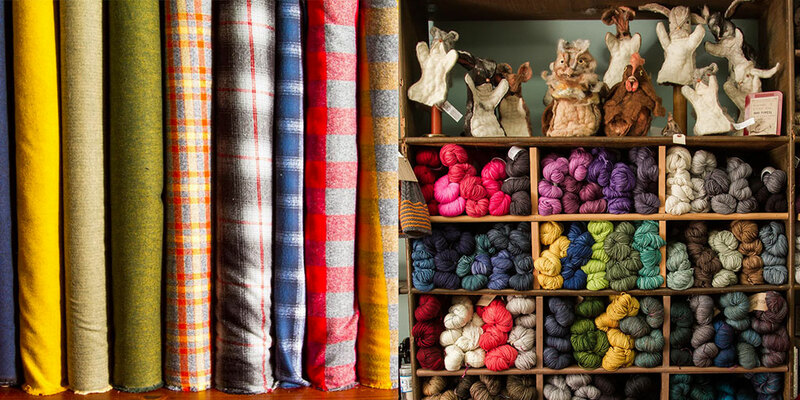 I’ve been a fan of Kelbourne Woolens since my first trip to a LYS and it was really neat to listen to how they became a business. Yet another wonderful episode! That lace pattern is simply gorgeous as well! Another great listen…I found the Kelbourne story fascinating. Romi makes the most beautiful lace patterns! Can’t wait to listen to Kate and Courtney. Thanks. Thanks for another interesting episode! A funny, entertaining podcast! I loved their interactions with each other. And i Remember the fiber company! It was interesting to “see” the other people connected to them! They sound like they have so much fun! I echo many of the previous comments…the podcast was very entertaining and inspiring! I continue to look forward to you next episode! This was a great episode, Kate and Courtney are hilarious! I enjoyed hearing about their journeys. Kate and Courtney are adorable! I loved listening to them tell their story. Thank you for this wonderful episode! Great energy from this ladies! Very inspireing! Great story. Very inspiring journey. I love their pattern’s classic styling. I love these ladies. I never tire of hearing their story. Love the designs and the yarn! Another great episode. It’s always a pleasure listening to these stories. Listening to the podcast makes me want to have a fiber business! But in the meantime I’ll live vicariously. Thanks for the awesome podcast! I look forward to each and every one that comes out! 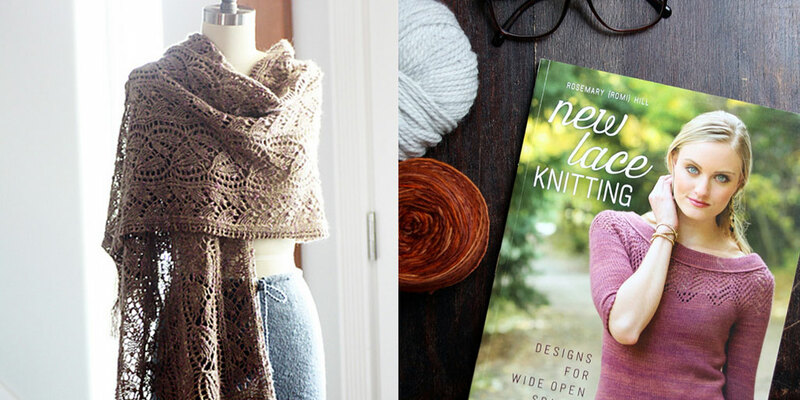 I haven’t tried lace knitting yet, mostly because I’m not the type to wear light lacy scarves. But including lace in a sweater sounds perfect for me! I would love my first lace pattern to be something from this lovely book. 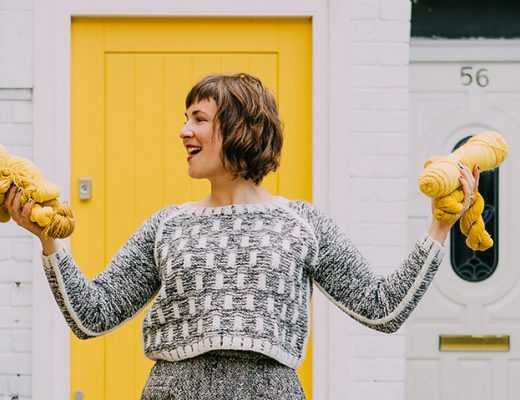 I just discovered this podcast after Karen Templer blogged about knitting podcasts last week over at Fringe Association. Great episode to hear for a first episode! I’ve heard a bit about Kelbourne from Karen Templer’s blog, but it was great to hear the story from the owners! Inspiring and silly ladies! Enjoyed this one very much. Thank you! What a great episode!! I really enjoyed hearing about Kelbourne Woolens! And Romi’s book looks delightful! Romi, that lady has my heart I love her designs and I love her shawl pins even more! I absolutely loved listening to this episode. I am currently in that “floundering” stage and it was so encouraging to hear how both of these women tried various things and then were able to make a career doing what they love. I’m listening to this episode as I type this. I got a little behind and am getting caught up, but it’s so worth it! I’m laughing out loud with my earbuds in. People are gonna start looking at me sideways if I keep this up. Loving this episode! It so reminds me of how I fell into the fiber world. (Listening to them talk about their prank calls to each other right now…”something horrible must have happened….” “Riddled with anxiety…” hahaha!) Thank you so much for this podcast, Ashley. It’s really wonderful. I just love getting to hear other people’s journey in the fiber world. It makes me feel connected to the community. Love the dynamic between these two women. Wow, those gals pretty much interview themselves – they’re hilarious! What a great episode. Oh my goodness, I loved this episode of your podcast – it was so wonderful listening to them talk about their joys in their business but I also really loved the way that the joy they find in their business-partnership was reflected through this conversation. It was gorgeous! Thank you for this opportunity! Love Kelbourne Woolens & the Fibre co yarns. They are so fun & I love their patterns!